Is VeraCrypt The Reincarnation of TrueCrypt??? – Nearly everyone in the world of tech has heard of TrueCrypt. TrueCrypt was an open source-available freeware utility used for on-the-fly encryption (OTFE). If you notice I said “was”. TrueCrypt’s life was an approximate 10 year lifespan from 2004 to 2014. In 2014 TrueCrypt abruptly shutdown development and many rumors have persisted since that time, as to “why”. As a result, many people became skeptical about the security of TrueCrypt. Well fret no more… I noticed at Gizmo’s Freeware site (one of my favorite sites) that TrueCrypt has been reincarnated into VeraCrypt. Gizmo’s has an article posted, TrueCrypt Is Dead. Long Live VeraCrypt! that I encourage you to read. To learn how to use Veracrypt — CLICK HERE — for a beginner’s tutorial. SpyDetectFree – Free Spyware Detector – Here is a FREE, easy to run, spyware detector called SpyDetectFree. It is a “one click” tool mainly intended for detecting processes that may indicate that your keystrokes are being recorded and/or there is the presence of spyware on your computer. SpyDetectFree does not require installation. Simply download and run. Anker® Full-Size Ergonomic Wireless Mouse with 6 Buttons – If you are looking for a mouse, you will not beat the price (or customers reviews) on the Anker® Full-Size Ergonomic Wireless Mouse with 6 Buttons. 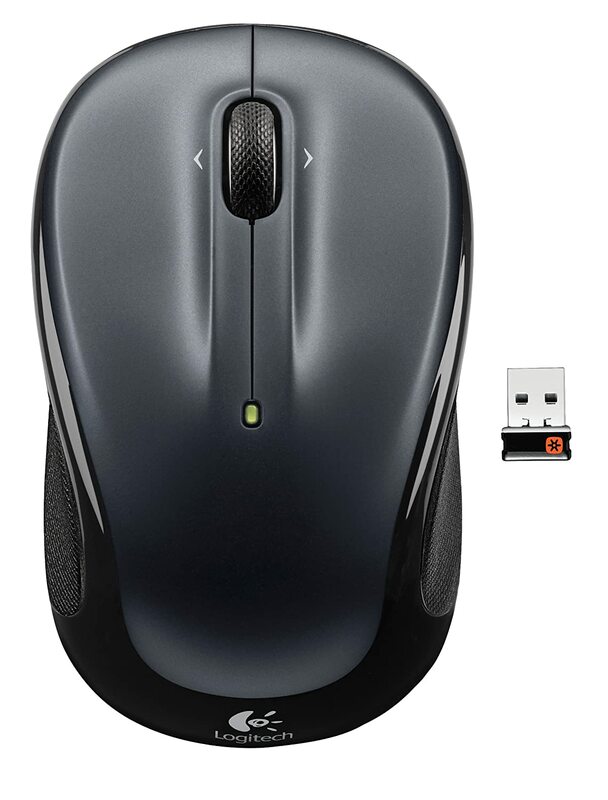 Just purchased the Logitech Wireless Marathon Mouse M705 With 3-year Battery Life and I must say I am impressed with the “smooth as butter” hyper scrolling that you can toggle (at the push of a button) to a more precise scrolling. As a matter of fact when I purchased this mouse I could not (initially) figure out what the button on top of the mouse was for. If the battery life is what is claimed, and based on my computer usage, I may wear this thing out before the batteries expire; but, then I noticed the feet on this mouse can be changed??? The Marathon Mouse M705 uses less than half the battery power of comparable wireless mice. So far, as all Logitech products I have owned, I am loving this mouse… The Logitech Wireless Marathon Mouse M705, at Amazon, is (at the time of this post) is approximately 30% off the regular price. Save time, money and the planet by practically eliminating battery changes. Contoured shape and finger rests poise your hand for comfortable control. Fly through long documents and web pages with a single spin. If you have never used a trackball before you do not know what you are missing. Probably the best way to describe a trackball is that it is a stationary mouse (no mouse to move around) with a ball that you use your thumb to navigate (or roll the ball) to perform your onscreen point and click operations. Looking at the trackball options out there, the best-of-the-best, in my opinion and based on customer reviews in the Logitech M570 Wireless Trackball. If we look at this at What’s On My PC @ Amazon (at the time of this writing), there were over 4105 reviews submitted giving the Logitech M570 a near 5 star rating. I personally am looking at this trackball to prevent injury to my wrist and to use it as a media center device. Another plus to the trackball, is if you have limited desk space, the trackball is the way to go because you do not move it, and it only takes up the space where you position it (plus, no mouse pad is required). Logitech Unifying technology: Easily connect up to six compatible wireless devices?keyboards, number pads or mice?without the hassle of multiple receivers filling up your USB ports. Wireless freedom: Control laptop, desktop computer or home theater PC from up to 30 feet (10 meters) away. I just purchased the Logitech M325 Mouse, to use with my nettop computer, and must say I am quite impressed with how smooth this mouse scrolls web pages. Typically with a mouse you get that click-click-click feel when scrolling webpages. With the Logitech M325 the mouse wheel operates as smooth as silk when scrolling pages. Squeak #2: In Windows XP, Vista and 7, you could invoke the Advanced Boot Options menu by pressing F8 (especially to get to Safe Mode). Did you know this is no longer possible in Windows 8; however, there is a way to bring the F8 control option back to life? Squeak #4: An inexpensive, full-size mouse, with full-size features. Experiencing a malware infection (malicious software infection) is likened to being locked in a cage with someone poking a stick at you. You try to grab the stick and it is just out of reach or you are not quick enough to stop the constant barrage of poking. Most folks who get these infections are often at a loss and actually experience anxiety, fear, and anger… Your computer is working fine one minute, then suddenly you experience slowness and then the fake security software (scareware) starts popping up (that you don’t recognize) telling you that you have hundreds of infections and that you need to click a button to fix the problem. Also, you most likely will be prompted to enter a credit card number to fix the problem. Once a malware infection has started it will worsen to the point that it will disable access to the tools and security software that you need to detect, identify and possibly remove the infection. These infections will often impede or shutdown the normal operation of your web browser, preventing you from downloading the software that you need to remove the infection. I highly recommend keeping, at all times, a FREE version Malwarebytes Anti-Malware on your computer and make it a habit to keep it up-to-date. The FREE version does not provide real-time protection; however, by performing routine updates and routine scans is better than nothing. As I stated, when the malware infection unleashes it will most likely cripple or shutdown the security software on your computer, including Malwarebytes Anti-Malware. The developers of Malwarebytes Anti-Malware, knowing this to be a problem, have come up with a solution called Chameleon. Malwarebytes Chameleon Technologies will try to get Malwarebytes Anti-Malware installed (if not installed) and running when blocked by malicious programs. You may have to go to another computer to download Chameleon or if you get lucky, you may download it onto the infected computer from the website [HERE] . Follow the instructions in the included Chameleon CHM Help File or, if the help file will not open, simply try to run the files by double-clicking on them one by one until one of them remains open, then follow the onscreen instructions. When you open the Chameleon CHM Help File, you will see twelve buttons. Click on the first button and see if it runs. You’ll know it’s working if a black DOS window appears, slays the malicious programs and processes, and then starts Malwarebytes Anti-Malware. If all goes well, Malwarebytes Anti-Malware will get your computer back to a workable state. Freedom of Information or Criminals? Today’s post is a short post, but a good one. A London based web developer and consultant has taken the Google Street View technology to another level. Simply visit Instant Google Street View, start typing an address, place name or location and be instantly taken there via the Google Street View technology. If no Street view exists, a map will be shown instead. A hot news item this week in the world of computers and information technology has been the re-design of Microsoft’s SkyDrive from its’ standard file management interface to the more metro look (that is the defacto Windows 8 GUI). If you have a Hotmail (or Outlook.com) account, then you can easily get access to SkyDrive. 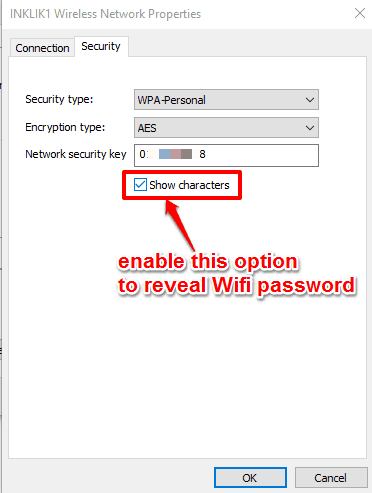 I highly recommend you take advantage of SkyDrive, because Microsoft is really getting this right. With SkyDrive, you get 7 GB of free storage with SkyDrive—that’s enough for over 20,000 Office documents or 7,000 photos. For most people, this is plenty of space. But if 7 GB isn’t enough, you can add even more storage for a low yearly fee. It was not the metro look that captured my attention or that you can now upload and store any type of file; instead, it is a very powerful feature in SkyDrive that allows you to remotely access your files and folders on your Windows (or Mac) computer from anywhere you have internet access. For example, if I am at work and I need a document file from my computer at home, I simply log onto SkyDrive account where I am able to see my entire file/folder/drive(s) structure on my computer at home. This sort of reminds me when I used to manage network attached storage devices (NAS), with the end user interface being quite similar to this. As long as your home computer is “on” and is running the SkyDrive software, you can access any file you need from your home computer—from anywhere. In fact, you can browse through files just like you would if you were sitting in front of that PC. Want to show someone a photo on that home PC? You can view photo slide shows and videos on that PC from any browser, from any computer. If you have a large screen computer monitor, you know that moving the mouse cursor around from one side of the screen to the other can be a real exercise. To help make your mouse lazy, and at the same time increase productivity, give Mousinity a try. Mousinity is a portable app that creates an infinity effect for your cursor when it reaches the edges of your screen. For example if you go to the top of your screen, your mouse will appear on the bottom, right-to-left, etc. Takes some getting used to, but once you do, you will be using Mousinity on a regular basis. Note: There is no tray icon with Mousinity. To turn it “off”, simply run Mousinity again and select “yes”. You probably noticed that the past several days I have not posted much. This is due that I have been using my writing skills on another personal matter that has consumed, not only my time, but what brain cells I have left. During the course of this personal writing venture, there were quite a few occasions where I had to swat the mouse pointer out of my view so that it would not distract me or change my focus. Afterwards, I started to wonder if there was an utility out there that would move the pointer out of the way for me (automatically)? In other words, I was looking for something that when I started to type, the cursor would move out of view and park itself. Whenever you type on keyboard, the mouse cursor is automatically parked (moved) aside to a defined screen / active window position. This way your view of the input field is not blocked by the mouse cursor. Right click on tray icon and select Settings, to define the parking position and other values. 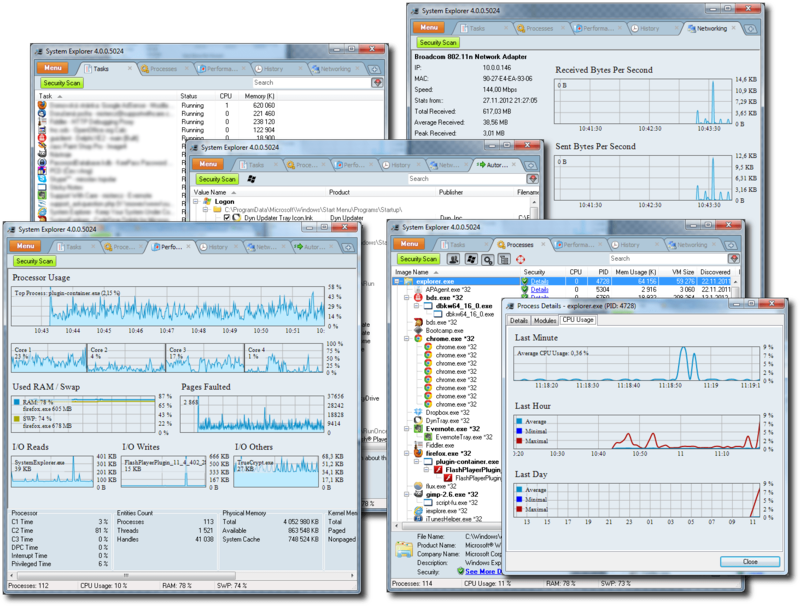 System Explorer includes many useful tools which help you Keep Your System Under Control. With System Explorer You get also fast access to File Database which help you to determine unwanted processes or threats. System Explorer is translated into 29 languages and is available for download in installer and portable version. Scrolling, swiping, and surfing that’s like second nature—thanks to the responsive touch surface and smooth-as-smartphone scrolling… Read more at Logitech and available at Amazon . Let’s Get Ready To Rumble… Rappapalooza 2! Talk about a nice keyboard and mouse combo… I have always been a fan of Logitech products and the Logitech Wireless Wave Combo MK550 Keyboard and Mouse are no exception. It is a well designed functional pairing of devices that will make your computing experience all that much better. The wave design of the keyboard that brings a natural and more comfortable typing experience, featuring Logitech’s ergonomic curve+wave+palm rest. The included Logitech SetPoint software that allows you to program and customize the multimedia keys on the keyboard and the buttons on the mouse. The small (very small) unifying receiver that connects both the keyboard and the mouse. The long battery life. Seems like I never have to change the battery in either the keyboard or mouse. The keys are very responsive with no lag time from keyboard to screen. The pricing… For an ergonomic keyboard and mouse combo of this type, the price is better than other comparable products [ SEE HERE ] . If you are finding that you need to be more knowledgeable and productive at your computer, then you need to click on the Geek Squeaks’ category a the sidebar of the blog. Geek Squeaks’ are a collection of links to articles that have been posted by members of the What’s On My PC blogroll community. Each week articles are randomly selected, that have been composed within the week period, to promote the good works of these blogs. I encourage you to become a regular follower of all of these sites. How Safe Are Trusted Web Sites? Not Very! How To Use Sumatra PDF Like a Pro in Your Netbook? Can You Track a Mobile Number & It’s Location? When teaching others how to navigate their computers, the one area I find where people neglect is using the “right mouse button” to activate the context sensitive menus. These menus often provide a quick solution (or choice) to an action you are looking for to get the job done; and, these solutions (or choices) vary depending on where you are on the computer. For example the right click context menu in Windows Explorer differs from the right click context menu on your desktop. As a challenge to the everyday computer user out there, try right clicking your mouse in different areas of your computer to explore the options that are available. I guarantee, if you learn to use the “right mouse button” you will discover that the majority of functions you typically search for on the toolbar menus is only a “right mouse click” away and will save you mileage on your mouse. To you “right click menu” power users I found a neat little utility called Right Click Extender that extends and enhances the capabilities of the right click context menus. According to the author’s site [HERE] , Right Click Extender was primarily designed to work with Windows 7, but should work with Windows Vista as well. While not designed for Windows XP some features will work with XP as well, but if you try it and you don’t find the feature added, this is due to certain features not being available for XP. So what is the “cool factors” to Right Click Extender? 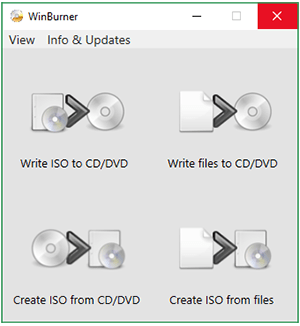 You can easily enhance and activate some really neat (and useful) options to your File or Folder Right-Click Menu, your My Computer and Desktop Right-Click Menu by simply checking the options that are provided in the program (see below). For example, you geeksters out there that are into those hidden “God Modes”, this little program will get you to geek heaven quick. You can also deactivate the options by unchecking the options. We are in the midst of the fall season and Geek Squeaks’ is going strong. If you are a person who has a love for information technology, computers, and software; then Geek Squeaks’ are for you. Each week What’s On My PC… randomly selects an article posted by the blog authors (within the past 7 days) who are connected to the What’s On My PC… blogroll community. If you have not visited these blogs, I encourage you to do so. This week’s roundup is reflected below. 8 FPS characters on multiple challanges. Very funny! What Can The Wheel On My Mouse Be Used For? Java Update Available – should I install it? I have always had an attraction for menu launchers and can’t wait to try a new one out. A new one to me, called MouseExtender, is very unique in that the menu (which you customize and create) is launched via your middle mouse button. When you click on the middle mouse button, your menu will appear wherever the mouse pointer is located. How convenient is that? It appears that MouseExtender is in the early development stages; however, do not let that distract you from trying or using it. This puppy is attractive in appearance, has Windows 7 effects AND has Windows Shutdown, Restart and Control Panel buttons already configured. Adding a File, Folder, or Program is as easy as right clicking on the menu panel and making a selection. I plan to monitor this app very closely. I would love to see the developer further engineer MouseExtender to include menu categories, web links, and the ability to move the icons around on the menu panel. Otherwise, very impressive and unique program launcher. Instant access your programs and folders in a second! Access to Control panel and restart/shutdown buttons! Nice Windows 7™ like effect! The author of Piyada’s World recently contacted me and indicated that after reading the article “Control your sound volume with your mouse wheel…” he was going to put together a listing of utilities that you could install and control with your mouse. Today, Piyada’s World has given us a list of (20)-Twenty “mouse” tools (utilities) that will help automate our computer experience. I can tell you as a blogger, to research and compile a listing such as this, is a whole lot of work. I encourage you to visit Piyada’s World (Your Daily Tech Digest) to read and comment on the “20 Free Tools To Increase Your Mouse Productivity”. I am sure there is something on that list that will you will want to try. Have you ever tried to adjust the sound volume on your computer by clicking on the sound volume control icon in the system tray? Not very convenient, is it? An option to try is Volumouse (by NirSoft). 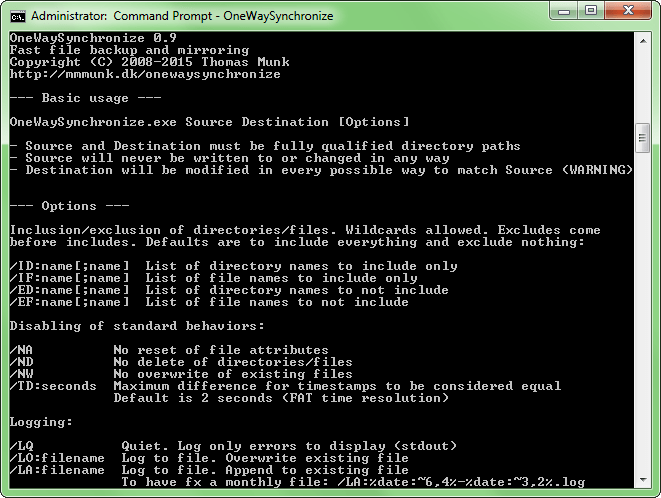 This is one of those “must have” utilities that I have personally used since its’ inception. Volumouse is a small utility that you install on your PC that will allow you to adjust and control your sound volume by scrolling the mouse wheel. Volumouse requires some easy configuration that will allow you to define a set of rules for determining when the wheel will be used for changing the sound volume, For example, I have Volumouse configured to be used when I place my mouse pointer on my taskbar. When the mouse pointer is placed on the taskbar, I can adjust the sound volume up or down by using my mouse wheel (see below). To get to the configuration window, you simply double click the Volumouse icon in the system tray following the installation. There are also “plugins” available to enhance the functionality of Volumouse. HideThisApp Plugin – Allows you to hide the active window by pressing a key combination, and showing it again by pressing another key combination. MoveResize Plugin – allows you to resize or move the current active window by rolling the mouse wheel or by pressing a hot-key. OpenCloseCD Plugin – allows you to open and close the door of your CD-ROM/DVD by rolling the mouse wheel or by pressing a hot-key.